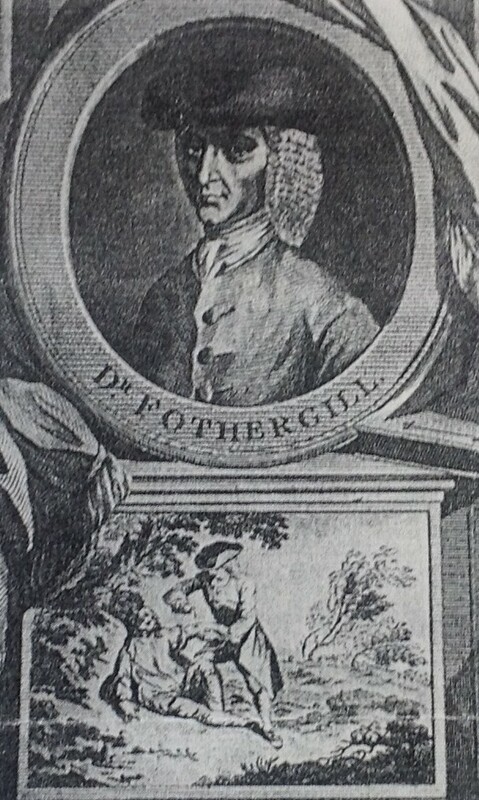 John Fothergill was one of the earliest prominent Quakers to make Forest Gate both his home and a place of national significance. He was born in Wensleydale, Yorkshire, in 1712, and, after an apprenticeship as an apothecary, studied medicine in Edinburgh. After graduating, he moved to London and practised at St Thomas', on the south bank. He worked with the poor, often without pay, and at times subsidised wholesome food for his patients. He was a doctor in advance of his time, successfully treating what is now known as diphtheria, tuberculosis, migraine and influenza and introducing innovative methods to cure sore throats. He was a strong advocate of immunisation as a means of preventing smallpox, many years before it became accepted medical practice. His reputation grew rapidly and he began to attract many of the rich and famous as his patients; among them, John Wesley, founder of Methodism and novelist Fanny Burney. As Fothergill himself put it: "I climbed on the backs of the poor to the pockets of the rich." 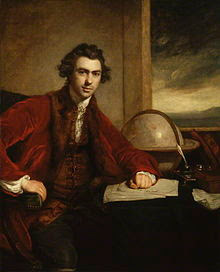 Such became his fame, that Fothergill had his portrait painted by Hogarth (see below). 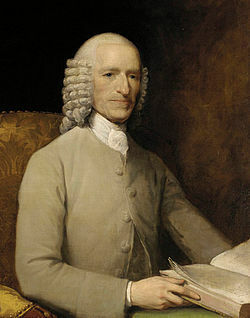 By 1774 he had the largest physician's practice in London, was said to work up to 20 hours a day and was reputed to earn the truly phenomenal sum of £5,000 per year (£700,000 in today's terms). His medical fame and fortune provided him with an income to pursue his other - wide-ranging - interests, with notable effect. Fothergill's first purchase of note came when he was fifty, and it was to become the foundation of his formidable non-medical reputation. 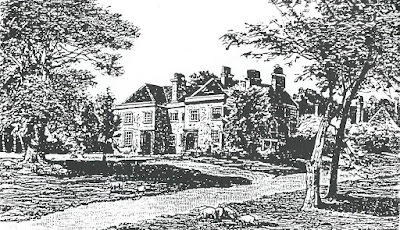 He bought Rooke Hall in 1762. 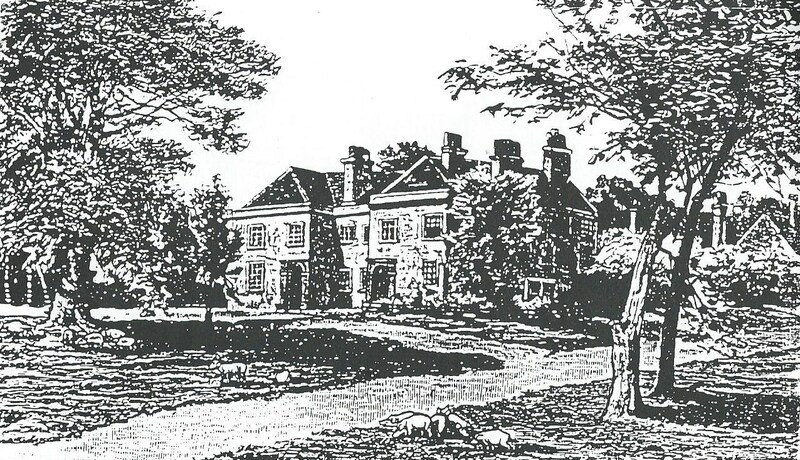 This was a small estate of 30 acres that had belonged to the Rooke family for a century, from 1566. It then passed through the hands of Sir Robert Smyth and his descendants until it was purchased by Admiral Elliott. It was from Elliott that Fothergill purchased the property. Fothergill extended and developed the house and grounds considerably - doubling its footprint to 60 acres. He renamed it Ham House. On his death it was sold, enlarged yet again, and soon became the property of the Gurneys (see here) and later West Ham Park. It was, however, what Fothergill did with the property that made his stay there so significant. He was a keen botanist. He laid the enlarged lands out as flower gardens, surrounded by shrubberies, with a wilderness beyond. A watercourse ran through the land and the banks were planted with exotic shrubs. A winding canal, in the figure of a crescent, divided the garden into two ... occasionally opening on ... rare, exotic shrubs ... A glass door from the house gave an entrance into a suite of hot ... and green houses, nearly 260 feet in extent, containing upwards of 3,400 distinct species of exotics ... and in the open grounds ... nearly 3,000 distinct species of plants and shrubs. In my opinion no other garden in Europe, royal or of a subject, had so many scarce and valuable plants. It was second only to Kew in attracting visitors from overseas. He was able to stock his greenhouses and garden with unusual plants by paying plant hunters and sailors to bring back specimens of botanic interest from their voyages in the Americas, Far East and Africa. Such was his influence on botanists of the day, he had species of plants named after him - for example Fothergill's Geranium and Fothergill's Lily. Fothergill. Although devoted to his botanic collection, was too busy with his medicine, which funded it, to devote much time to cultivating it. He was rarely at Ham House, but paid 15 gardeners to tend his impressive collection. He was not just a collector, but a recorder and cataloguer of his stock A very detailed catalogue of it survives in the British Library (see below). 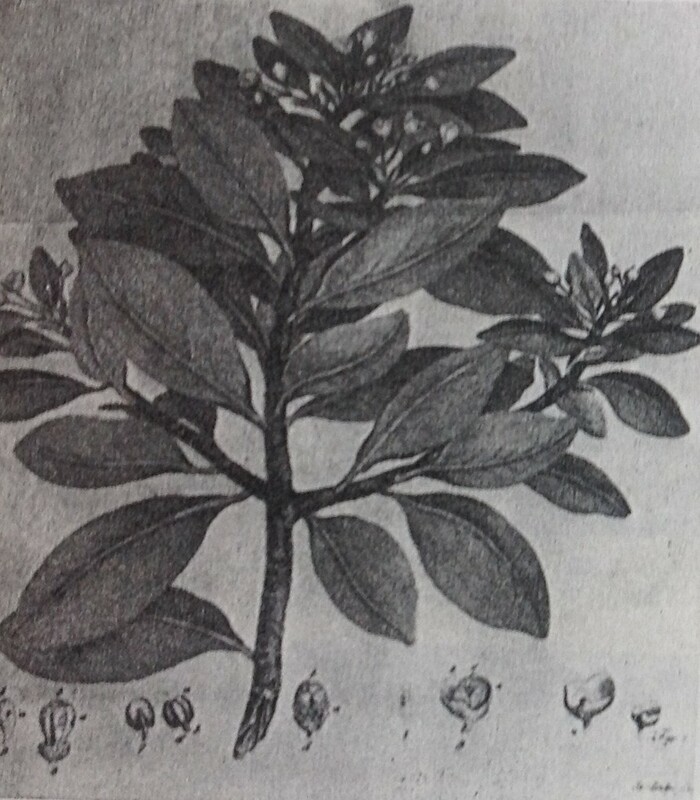 He also employed four artists, full-time, to make drawings, in vellum of each plant in full bloom. Below is a rare, surviving, black and white print of one of the Fothergill collection. The 18th century was the golden age of botanical drawings, and Fothergill engaged some of the finest artists to help him capture the images, including George Ehret (1708 - 1770) and John Miller (1715 - 1792). Below are surviving examples of their work, in full colour. As for the Fothergill collection; it was sold on his death, along with his house and plant collection. 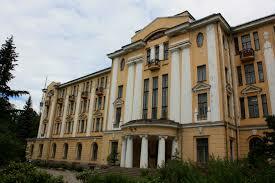 Bizarrely, the prints were bought by Catherine the Great of Russia (1729 - 1796) - see photo, below. She was a keen horticulturalist and had had medical encounters with Dr Fothergill, so was well aware of him and his works. The collection of 2,000 prints are now believed to be housed in the Komarov Botanical Institute, St Petersburg, part of the Russian Academy of Sciences. They have never been shown in public and attempts to view them have been thwarted. 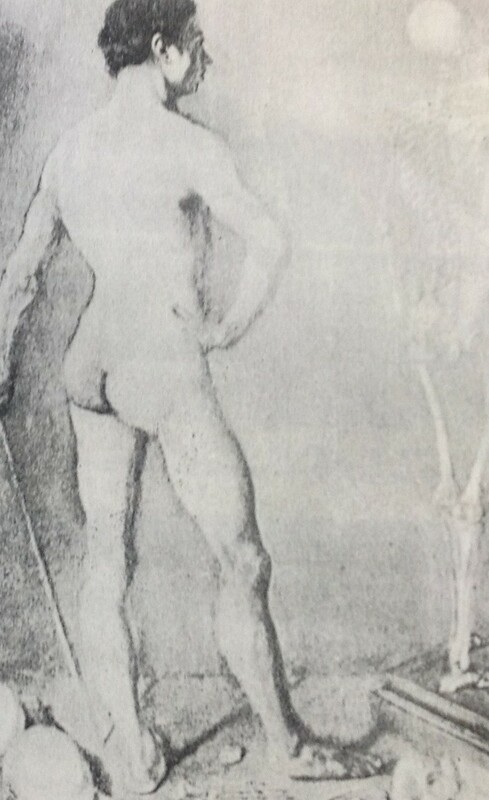 It would be a fine gesture if the Corporation of London and St Petersburg's municipal authority could jointly mount an exhibition of this magnificent and historic collection. As with the other Quaker polymath dignitaries who have lived in Upton over the years, Fothergill had a wide range of interesting pursuits. In addition to his innovative medical practice and - literally and metaphorically - ground-breaking botanical work, he played a full part in civic society. He, for example, advocated the proper registration of births and deaths, sixty years before the national register was established and promoted the use of public baths, as a health measure a century before they became popular. He was subsequently elected Fellow of the Society of Antiquities in 1753, and the Royal Society, a decade later. 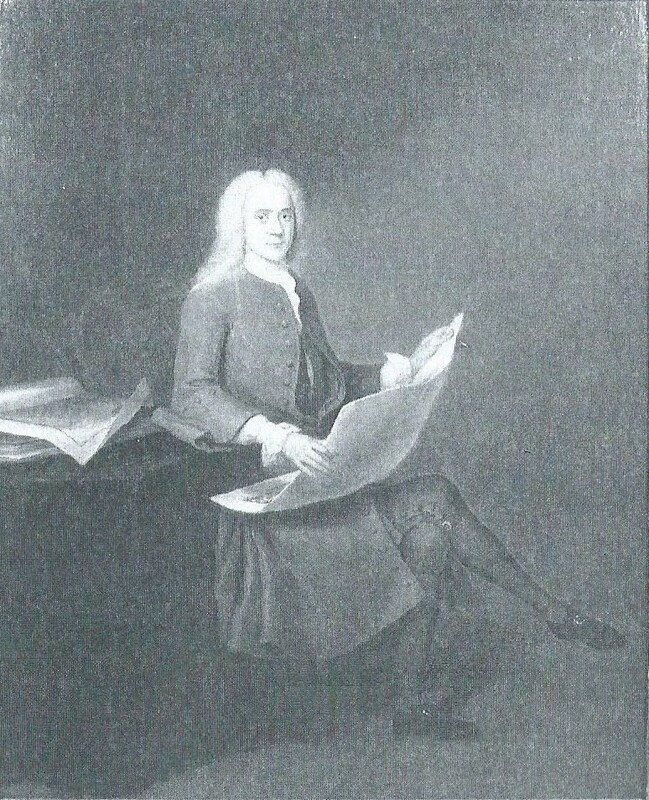 Like a fellow future Quaker resident of Ham House, Samuel Gurney, he was an active prison reformer. Just as Gurney had supported his sister, Elizabeth Fry, in the cause, so, a generation earlier Fothergill provided support to John Howard - after whom today's prison reform pressure group is named. Fothergill worked with Howard to try to get programmes of employment for ex-prisoners in order to facilitate their rehabilitation - quite a novel idea at the time. Again, just as Gurney had become active in public affairs (education, campaigning against capital punishment, slavery etc), so too - in the previous century - had Fothergill. He was the founder of Ackworth public school, in Pontefract, Yorkshire. It was co-educational from its foundation and offered free education to poor Quaker children. 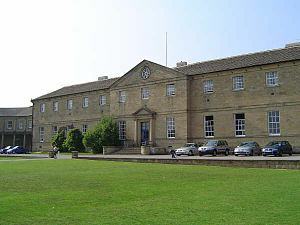 It survives today as one of only eight Quaker schools in Britain. Indeed one of the school's four houses remains named after him. Fothergill had close associations with pre-independence America, and worked, to no avail, with Benjamin Franklin trying to prevent the succession of the American colonies in 1776, having been elected a member of the American Philosophical Society six years previously. a lecture on anatomy there. On Fothergill's death, in 1780, the house and gardens were sold up and the plant stock dispersed. The garden and greenhouses, however, together with many of the trees survived Fothergill's tenure in the property. The greenhouse function has continued until the present day. For almost a century and a half the Corporation has used them as a nursery, producing plants and shrubs for prestigious Mansion House events. Until now, that is ... the Corporation has recently decided to "out-source" the function and bring to an end almost two and a half centuries of botanical pride and excellence to a small corner of Forest Gate. The Park Management Committee and Corporation of London are currently considering alternative uses for the space occupied by the now redundant green houses and nursery. And so another bit of Upton's great history (like the Old Spotted Dog pub and Clapton FC) is facing extinction from those with cash signs in their eyes and minimal regard for local heritage. Fothergill is still remembered in West Ham Park today, as a flower bed and rockery, named in his honour, survive - see extract from park map, below. Thanks to the Friends of West Ham Park, whose recent exhibition on Fothergill, in the park, has provided assistance with the contents of this article. Views in the article are should not be taken as theirs.